Question Time, the BBC's premier political programme chaired by David Dimbleby, was in Birmingham on 8 February. He was joined by the Environment Secretary David Miliband MP, the former Conservative Chancellor Kenneth Clarke MP, the Liberal Democrat MP Simon Hughes, the Vice Chair of Respect Salma Yaqoob and the writer Frederick Forsyth. 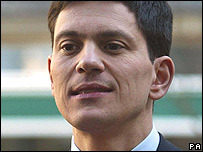 Career: David Miliband MP is Secretary of State for the Environment, Food and Rural Affairs. Before his election to parliament in 2001, he was Tony Blair's Head of Policy. Once described by Blair as the "Wayne Rooney of the Cabinet", he was promoted to Schools Minister just over a year after becoming an MP and joined the Cabinet in the newly created post of Minister for Communities and Local Government in 2005. As Environment Minister, he has overseen the introduction of the Climate Change Bill in last November's Queen's speech, and this week called for "an international political commitment to take action to avoid dangerous climate change". 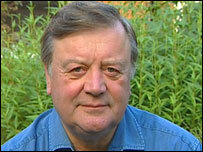 Career: Ken Clarke QC MP was Chancellor of the Exchequer from 1993 to 1997. He is one of Britain's longest-serving MPs, having been first elected as Conservative MP for Rushcliffe in 1970. He remains one of the party's most senior figures, despite three unsuccessful attempts at the leadership. He was recently appointed by David Cameron to head the party's democracy task force which was considering ways of improving the workings of government. 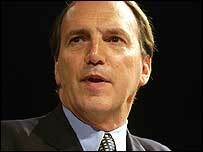 Career: Simon Hughes is the president of the Liberal Democrats. After his election to parliament in 1983, he spent five years as environment spokesman for the SDP-Liberal Alliance, which became the newly formed Lib Dems in 1988. He ran for the party leadership in 2006, coming third in the final vote. He is a vocal supporter of reform of the House of Lords, saying this week: "In the 21st century the only way that both Houses of Parliament can be legitimate is for them to be made up of people elected directly by the people." 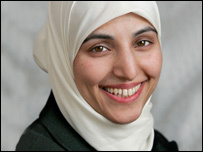 Career: Salma Yaqoob is a Birmingham City Councillor and Vice Chair of Respect. She was born in Bradford to Pakistani parents and grew up in Birmingham. She said of last week's police anti-terror raids by police in Birmingham: "The reason people are so fed up and cynical of the whole process is because the raids are so high profile. I think there would be a huge public outcry if these latest raids fail to turn up anything that results in a successful prosecution." 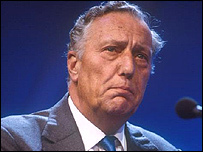 Career: Frederick Forsyth is a columnist and author, known for bestselling political thrillers such as "The Odessa File" and "The Day of the Jackal". He is a Eurosceptic Conservative, and in 2003 was awarded the One Of Us Award for his services to the British Conservative movement. In 2005, he came out in opposition to Kenneth Clarke's candidacy for the leadership of the Conservative Party, instead giving support to the David Davis campaign.